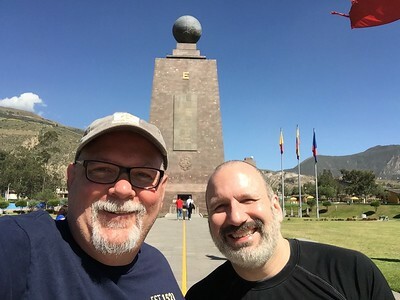 We started in Quito, Ecuador, then flew to the Galapagos islands for a six-day cruise, then flew to Lima, Peru for a day, then Machu Picchu and Cusco. 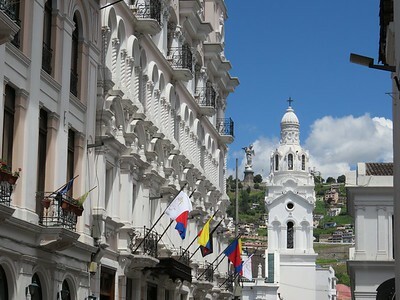 Quito, Ecuador. 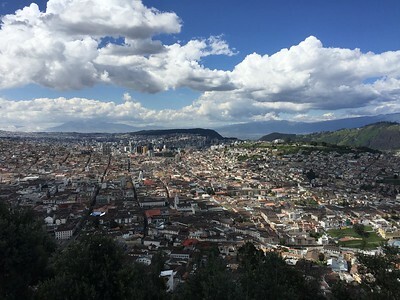 A beautiful city. 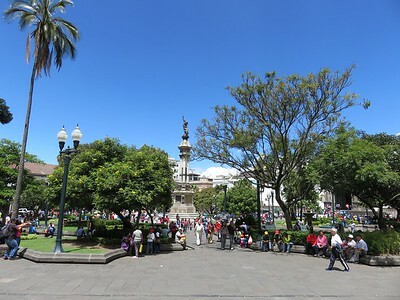 Plaza Grande de la Independencia in Quito. 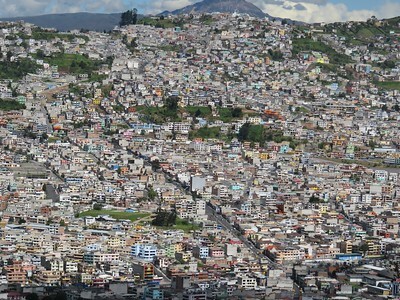 Quito is home to almost 3 million people. 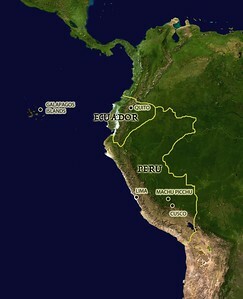 Because of frequent earthquakes, there are very few tall buildings and the city is spread out. 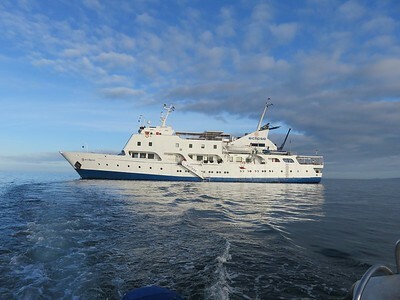 Aboard the Eclipse in the Galapagos Islands. 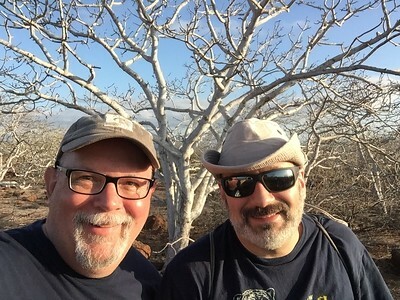 Here we are on our first hike. The trees look dead but they are not. 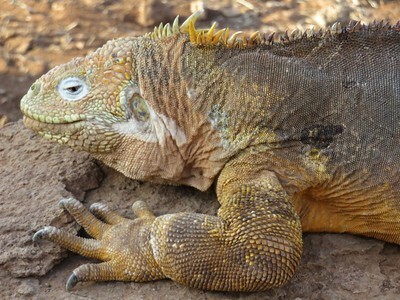 This is fall in the Galapagos, and there has been very little rain. The trees are white because they are covered with lichens, which provide a natural sunscreen, protecting the trees from the harsh sun. Papa stands by while mama incubates the eggs. They will switch off periodically so they can both feed. 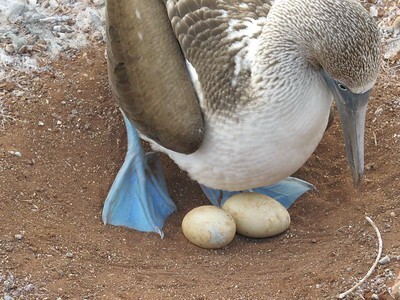 A blue-footed booby protecting her eggs. 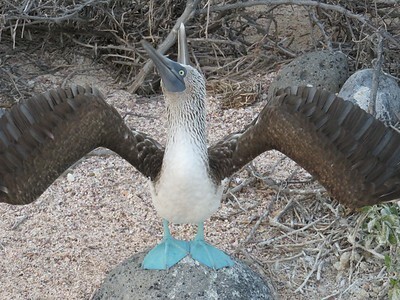 A male blue-footed booby posturing to attract females. 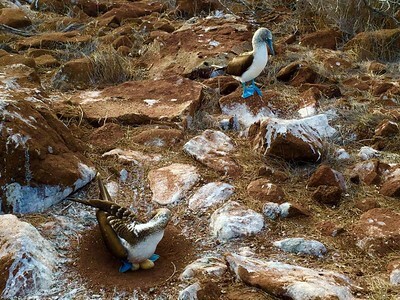 Another pair of blue-footed boobies nesting. 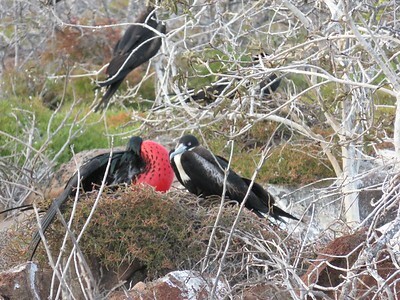 The male frigatebirds expand their red throat pouch to attract females. 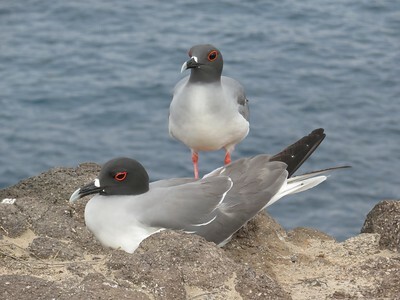 The swallow-tailed gull has a distinctive red band around their eyes. 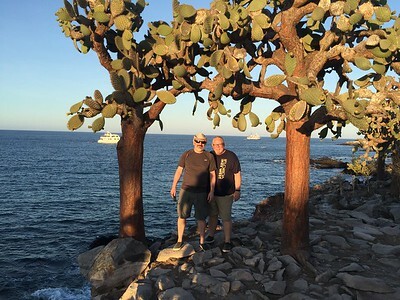 Joe and Ed under a canopy of prickly pear cactus. When the cactus is undisturbed for 40 years, it grows a thick trunk! 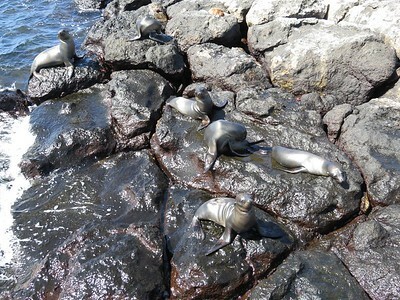 Sea lions frolicking around the rocks. The sea lions were curious and would often swim up to us. 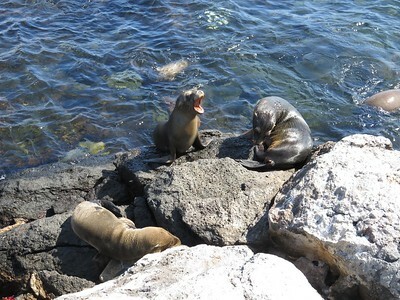 On this occasion we had to carefully step over a sea lion who decided to sun himself where we disembarked. 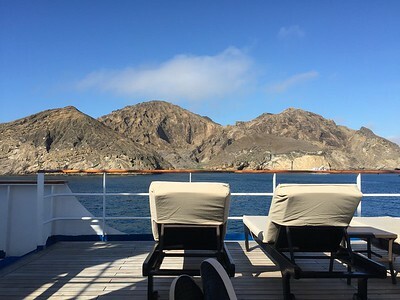 View of Isla San Cristobal from our ship. 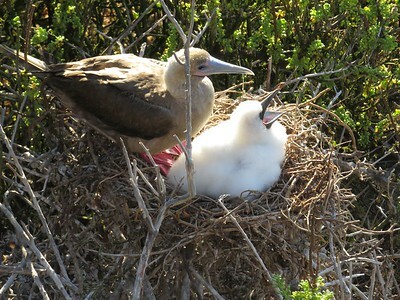 Red-footed booby chick and mom. 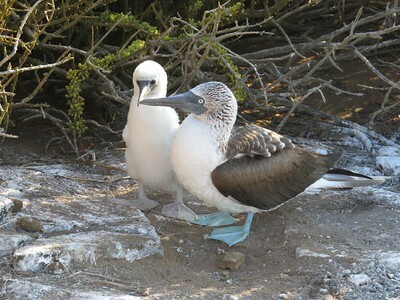 Blue-footed booby chick and mom. 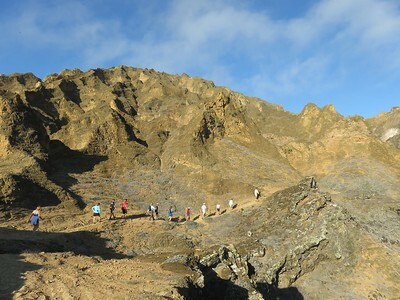 The landscape on many of the islands is rocky and mountainous. 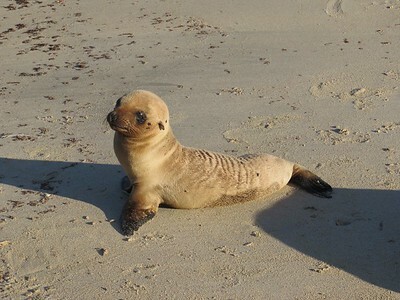 Baby sea lion making its way up the beach. 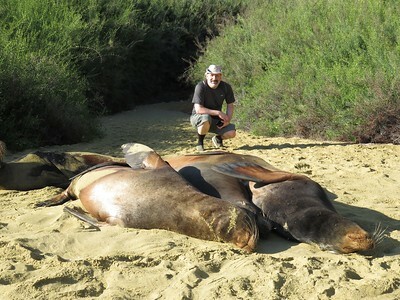 Joe with two sea lions sunning themselves. They are huge! 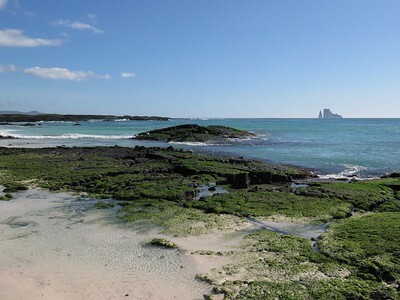 A deserted beach on Isla Floreana, shared only with iguanas and sea lions. We took the panga boat from the ship and toured some of the inlets, seeing sea turtles, sea lions, and rays. 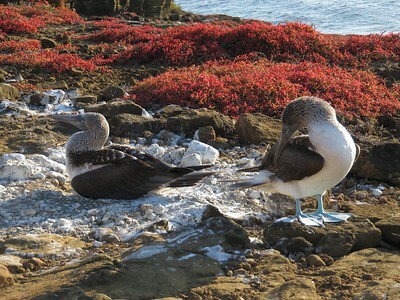 This is Elizabeth Bay on Isla Isabel. 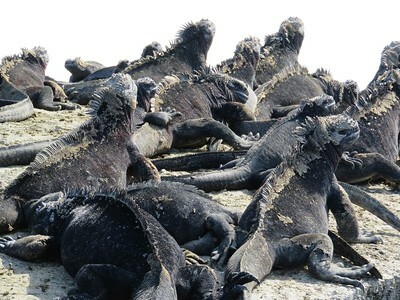 Marine iguanas sunning themselves on the rocks. 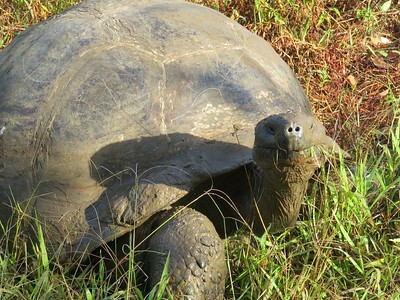 Our last stop in Galapagos was a visit to the Highlands of Isla Santa Cruz to see land tortoises. 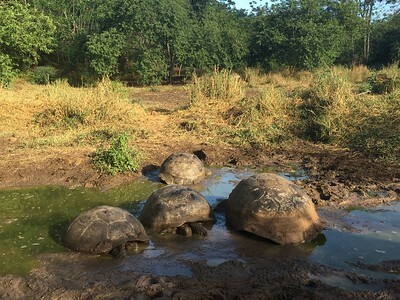 A group of land tortoises on Isla Santa Cruz. 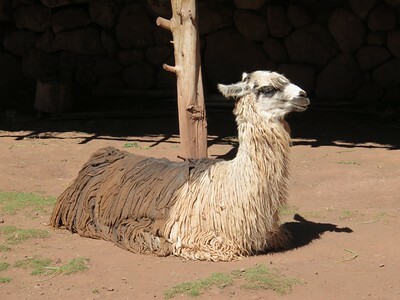 We've arrived in Lima, Peru! 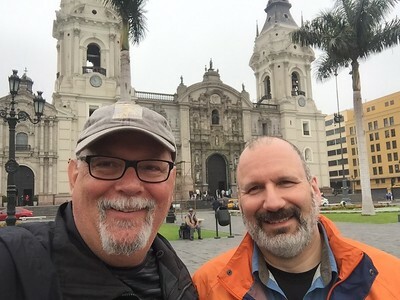 Here we are in front of the Cathedral de Lima. 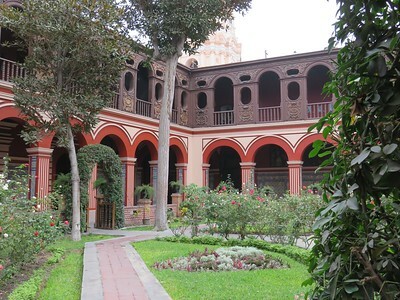 Convento de Santa Domingo in Lima, Peru. 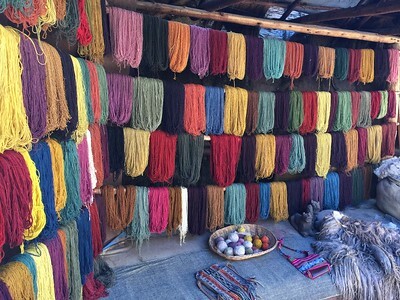 Awana Kancha: On our way to Urubamba, Peru, we stop to visit this sanctuary dedicated to education and preservation of the traditional manufacturing of Peruvian textiles. The variety of colors in incredible. The bowl in the middle is full of dried beetles. 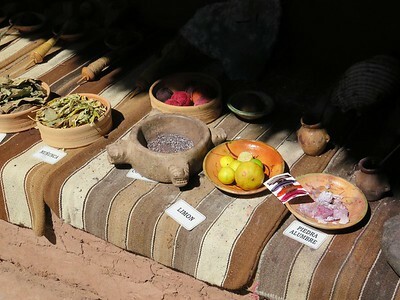 The crushed beetles create the bright red color, and create more colors when mixed with different ingredients. 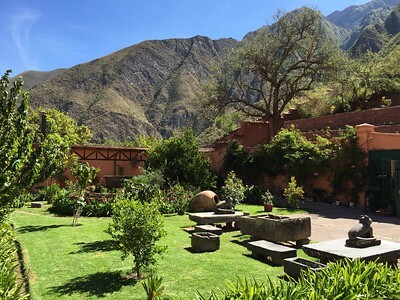 Our guide and driver took us to this incredible family-owned plantation for lunch on our way to Urubamba: Hacienda Huayoccari. 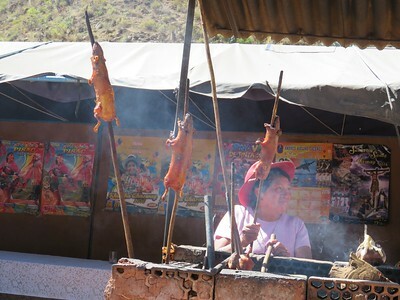 On the other hand, we could have stopped by the side of the road for some roasted guinea pig on a stick. Quite popular in Peru... we passed. 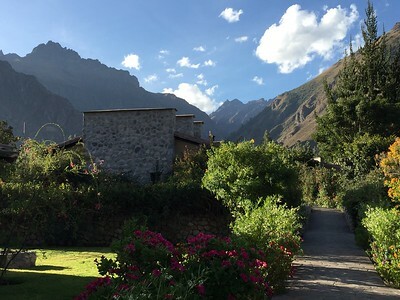 This is the Sol y Luna Hotel in Urubamba. 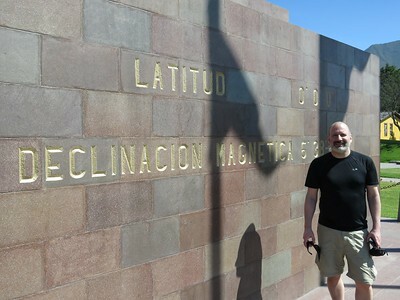 The landscape was beautiful and the accommodations were fantastic! 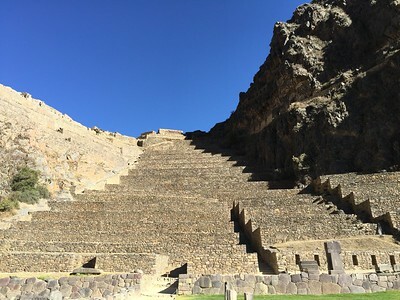 Ollantaytambo: an ancient Inca ruin. What looks like steps in this picture are actually agricultural terraces for farming.